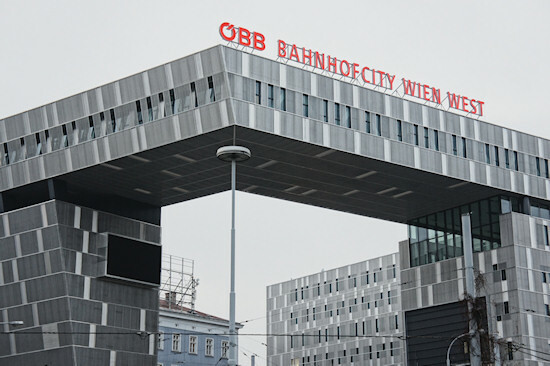 A look at the newly opened Vienna West Station aka "BahnhofCity": Old architecture from the 1950ties meets new shopping mall, office and hotel facility. 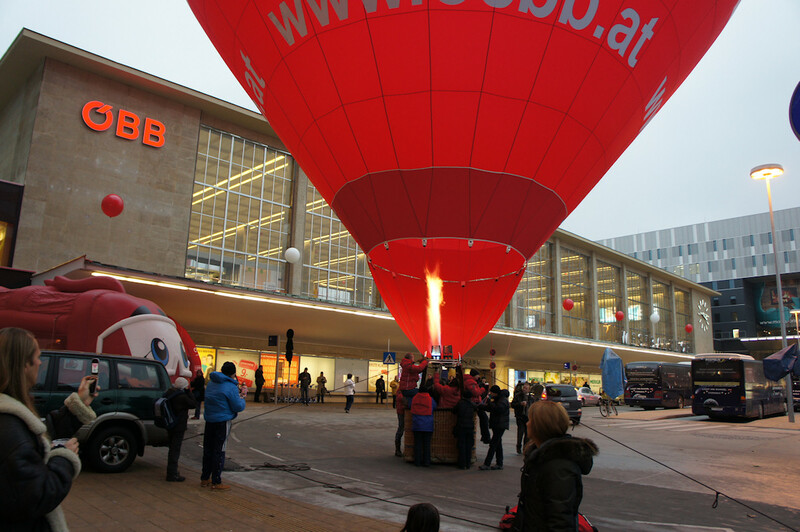 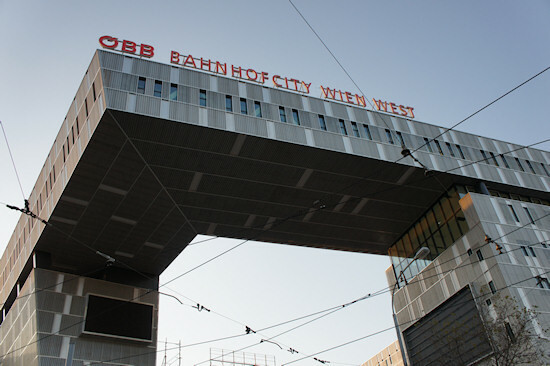 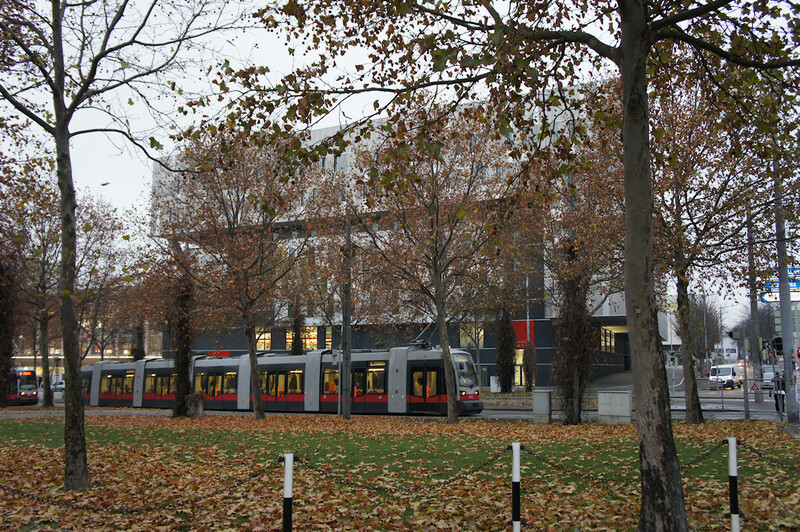 Hi, the new "BahnhofCity Wien West" (StationCity Vienna West) – as the old "Westbahnhof" (Vienna West Station) is now called – was officially opened last week on the 23rd of November 2011. 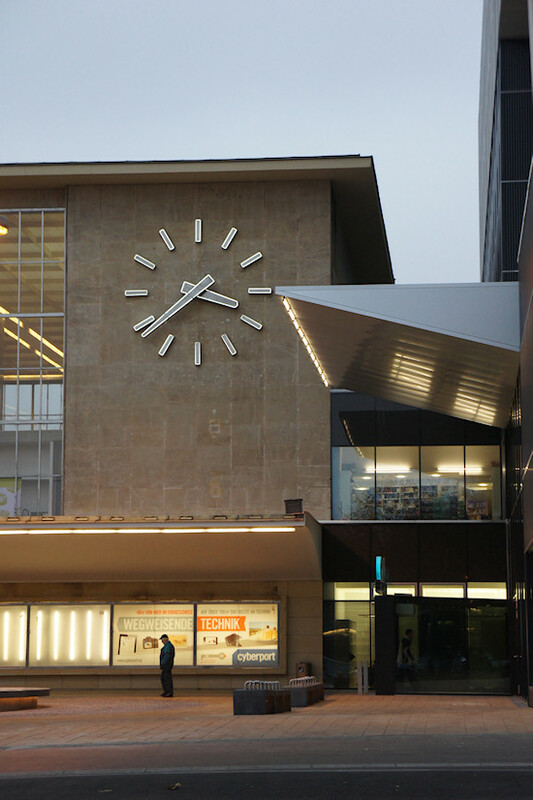 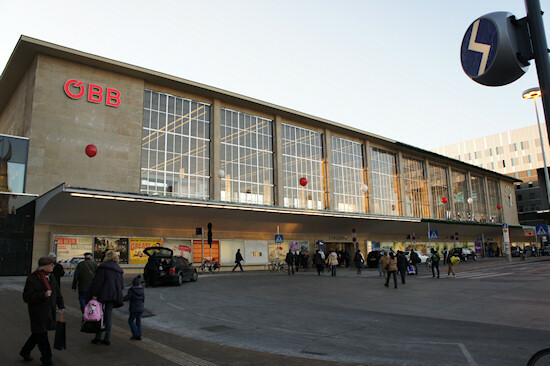 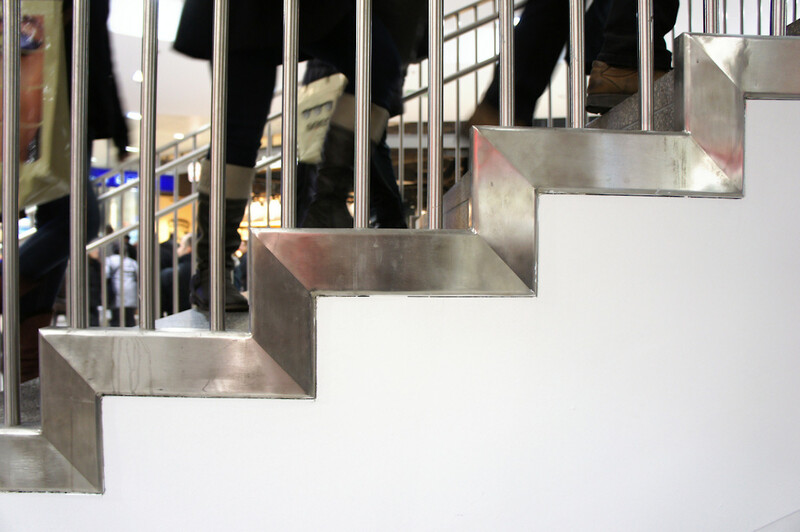 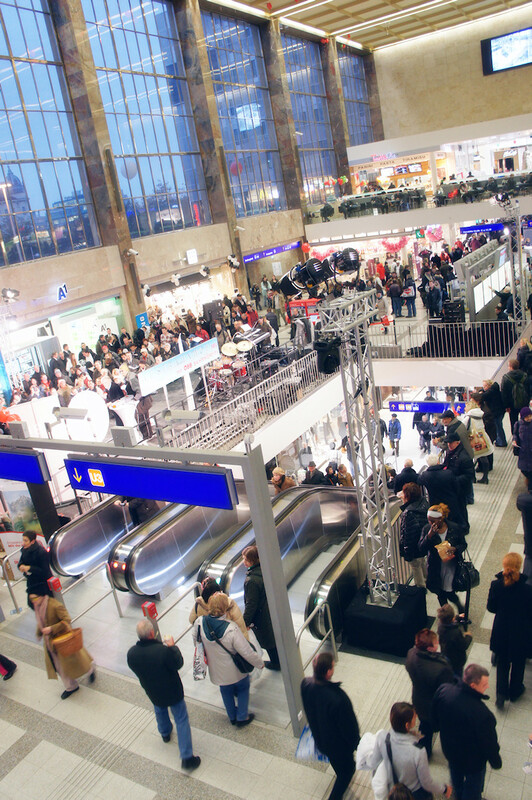 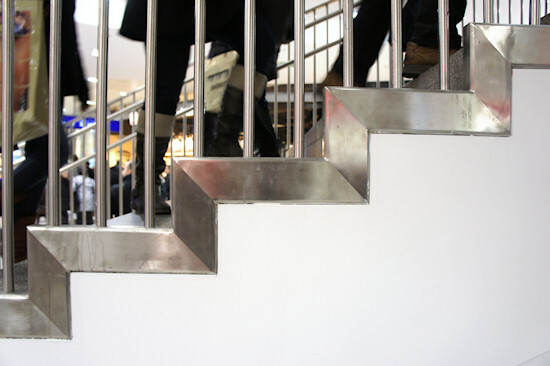 After three years of reconstruction, the old hall of "Westbahnhof", the functional building from the 1950ties, has been renovated, framed by two new buildings on each side, and a new fashion shopping dedicated level has been built below the station. 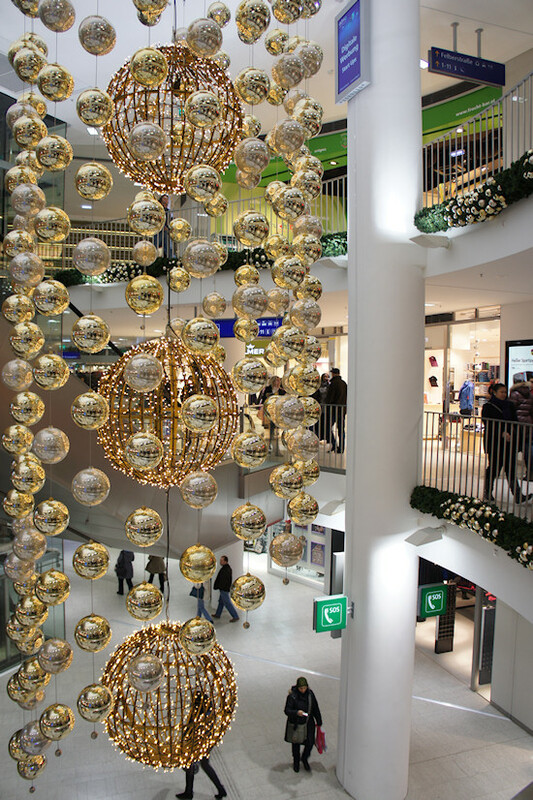 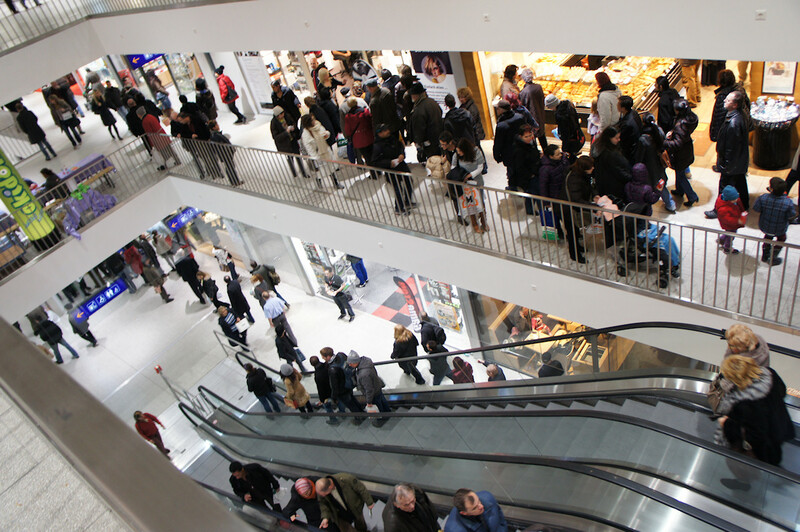 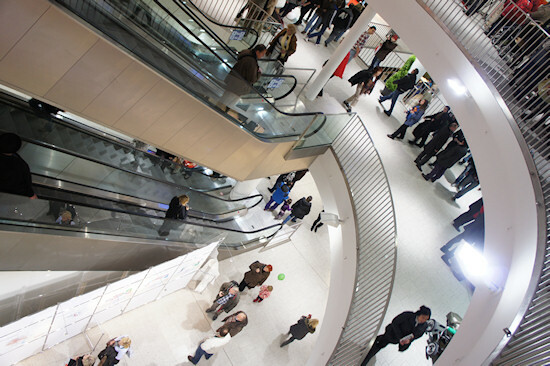 Together with the new level and the new side buildings, the BahnhofCity now features a three-story shopping mall, which was openend just in time for the christmas shopping season. 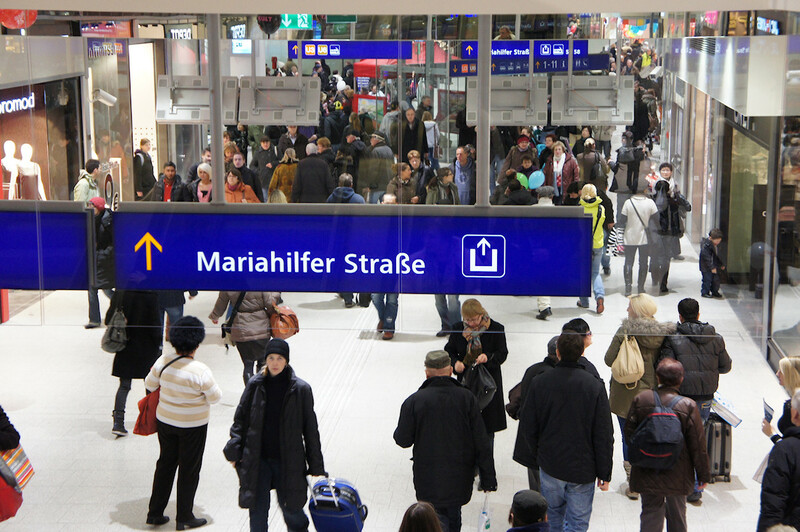 Besides the railroad station, the BahnhofCity also accommodates above mentioned shopping mall, the hotel Motel One, and an office building. 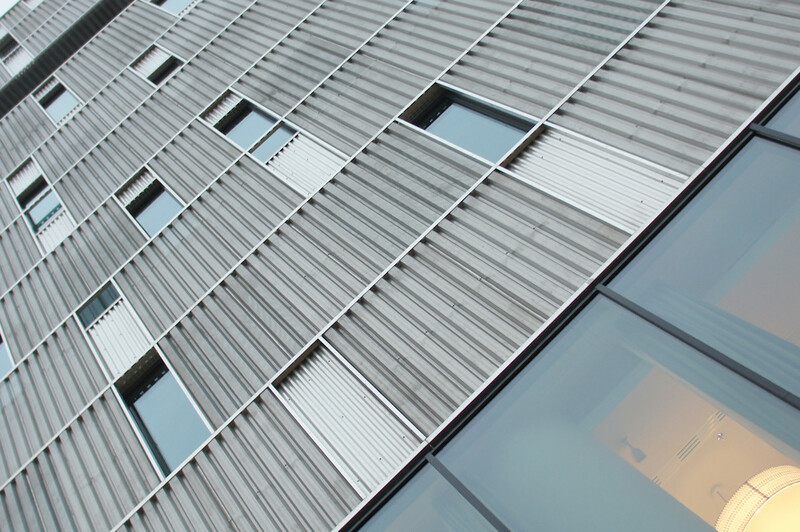 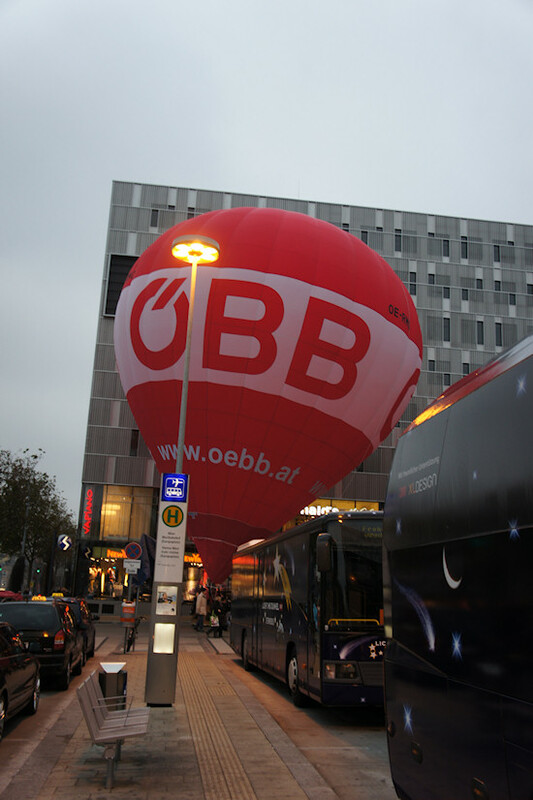 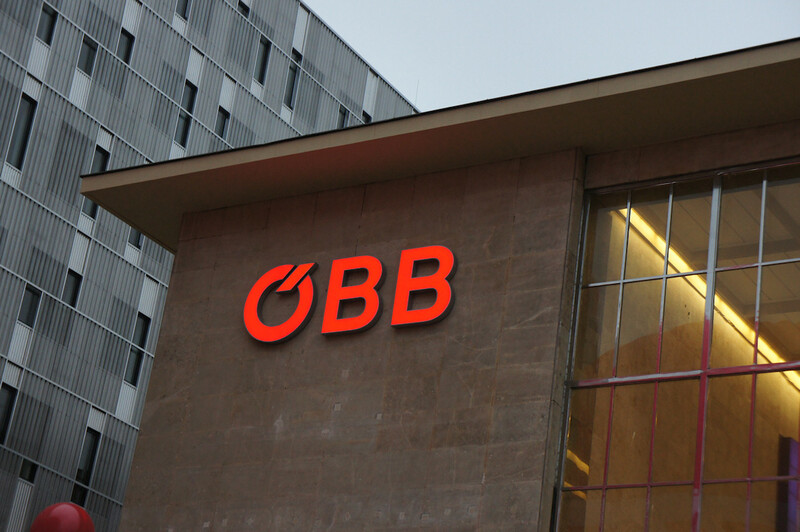 This is the new office building on the south of BahnhofCity, which you see when coming from Mariahilfer Street. 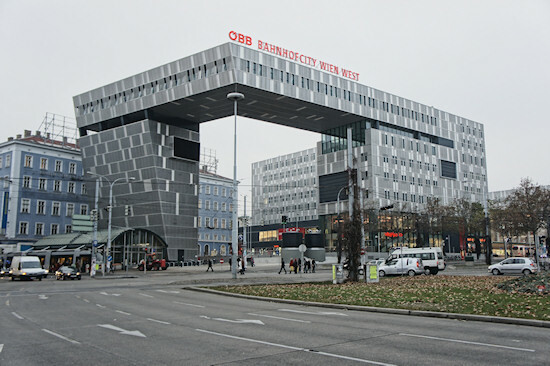 Notice the arch, which forms sort of a gate, which is the part I like most of the new complex. 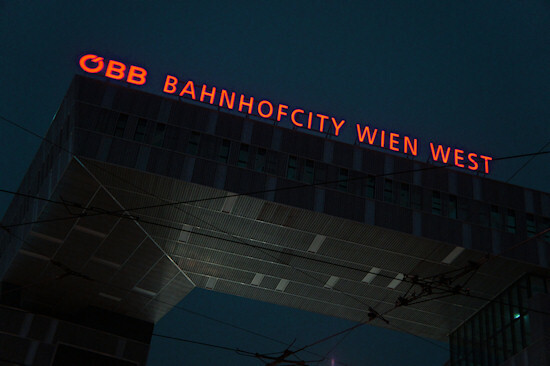 The BahnhofCity does not have the usual glass front you see on so many office buildings nowadays, but instead it is covered with metal plates and only narrow windows. 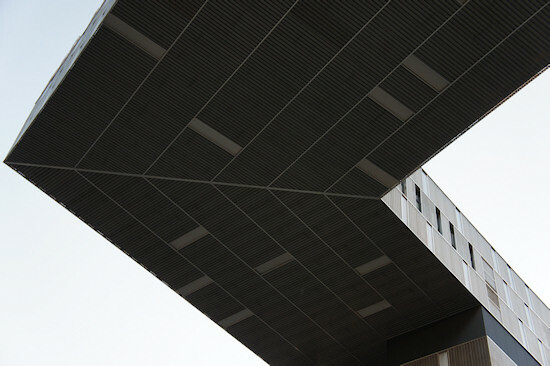 Because I like the arch ("Wolkenspange"), let's take a closer look at it. 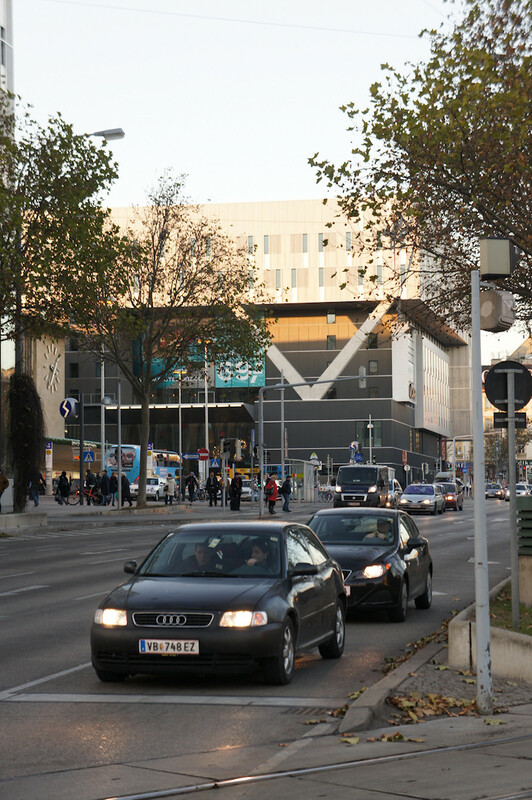 Clash of Architectures: In the middle, between the new buildings, is the old railroad hall from the 1950ties. Some say that the mix between the old and new architecture is not optimal. 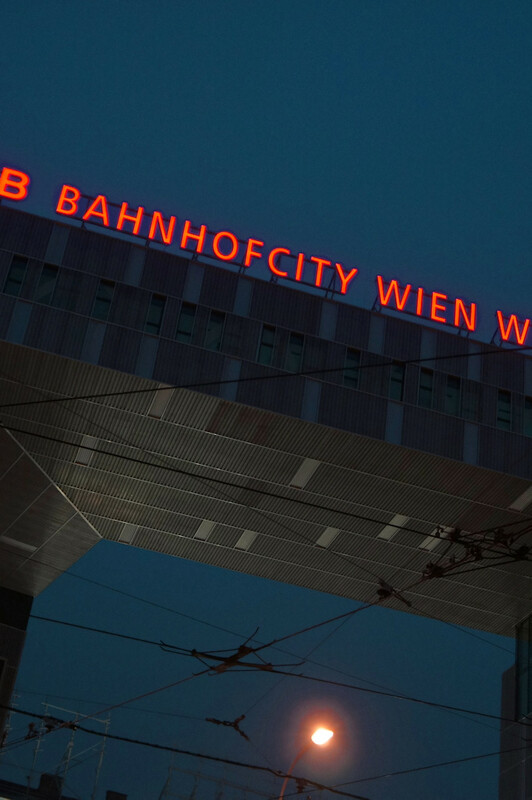 I agree, but it could have been worse ;) The reason for this is partly because the old historic building is listed under monumental protection, and had to be preserved. 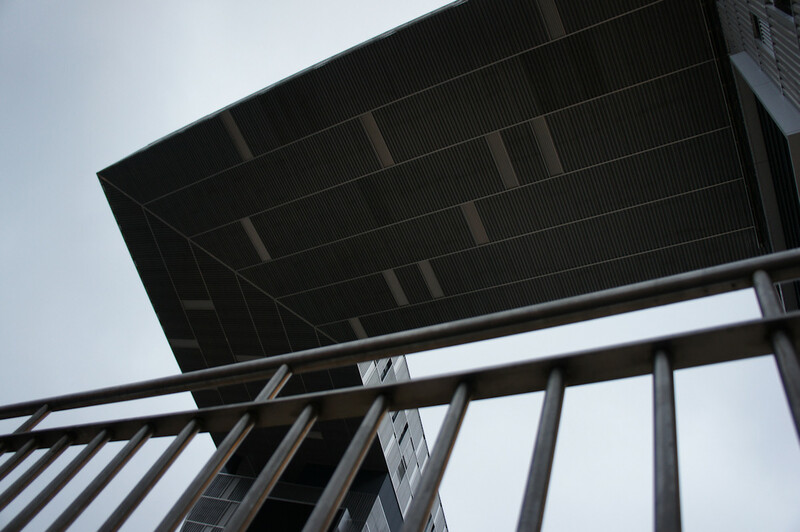 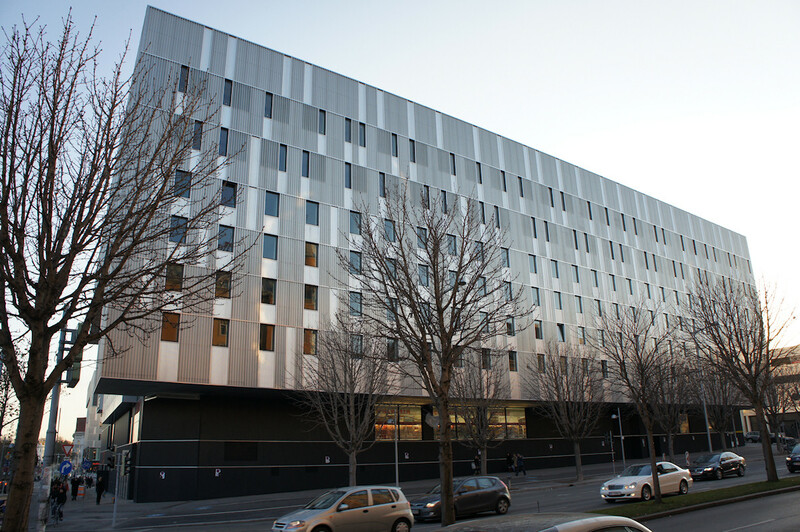 On the other hand, the architects Neumann + Steiner, who won the public call for proposals, wanted to give the whole complex a modern and distinct look. 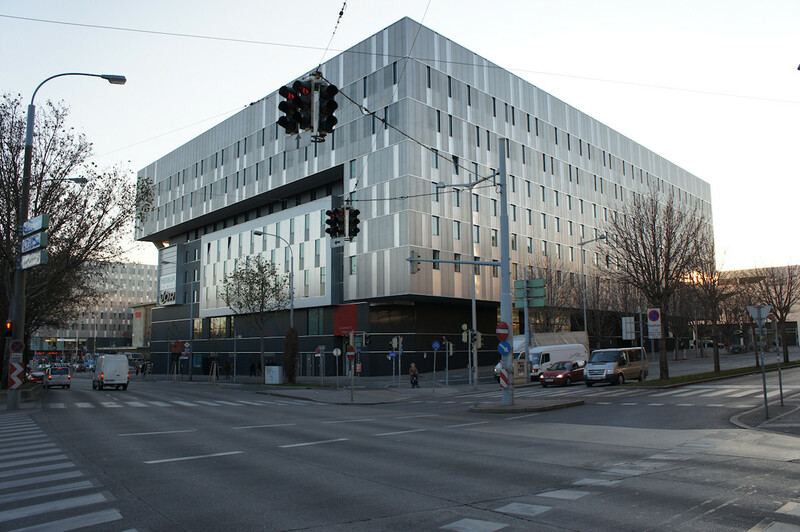 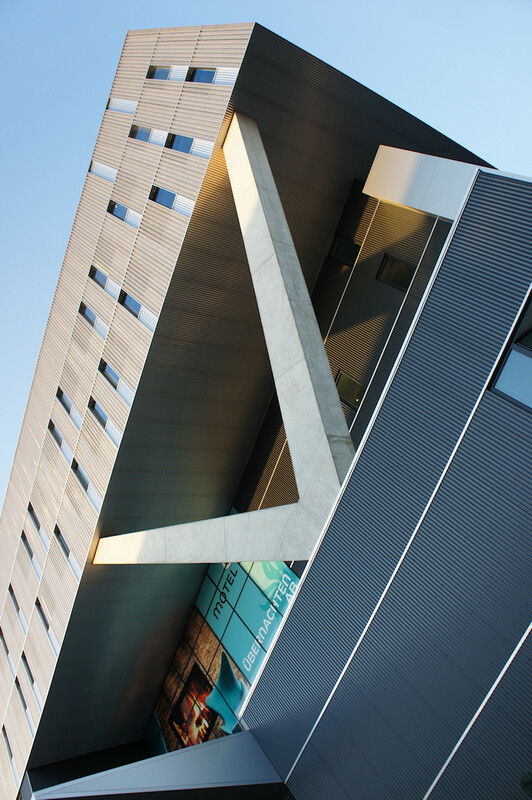 Now we continue to the northern building, which also accomodates the Motel One hotel and part of the shopping mall. 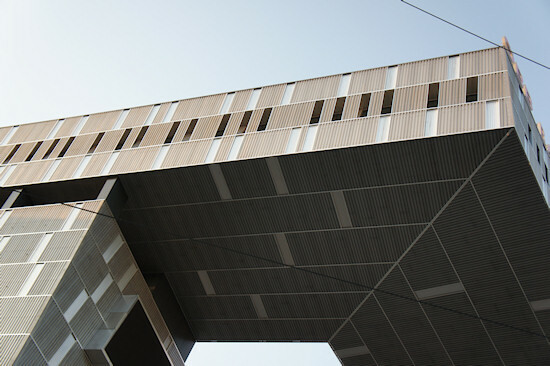 Most prominent part of the northern building are the V-shaped pillars. The old hall is so tightly enclosed by the new buildings that you hardly see it anymore, when coming from the north or south. 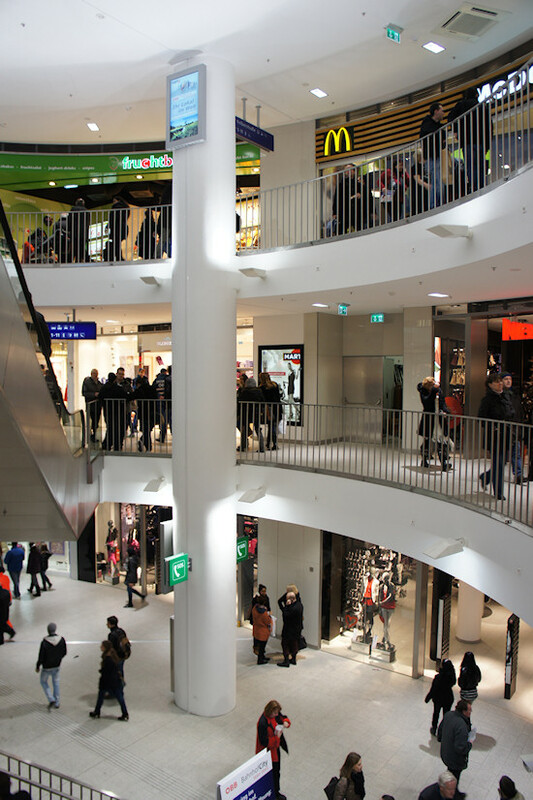 We are now going inside and take a look at the new shopping mall. Actually, the shopping mall is nothing special. It is the usual kind of chains you see almost everywhere, so let's focus more on the architecture. 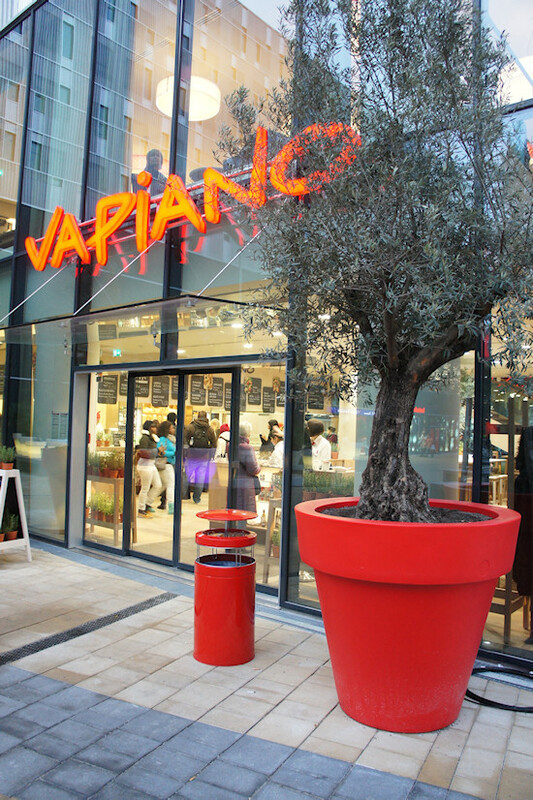 Probably the best of BahnhofCity is the German Vapiano restaurant serving Italian high-quality fast food. We have reached the end of our tour here. 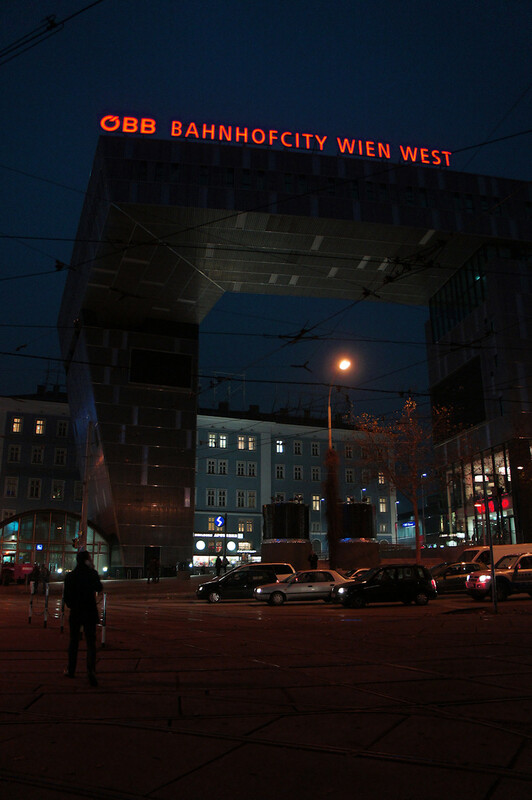 Thanks for joining and if you happen to visit BahnhofCity, I wish you a nice trip and a happy stay in Vienna!